It's always good to have a few shortcut recipes on hand. 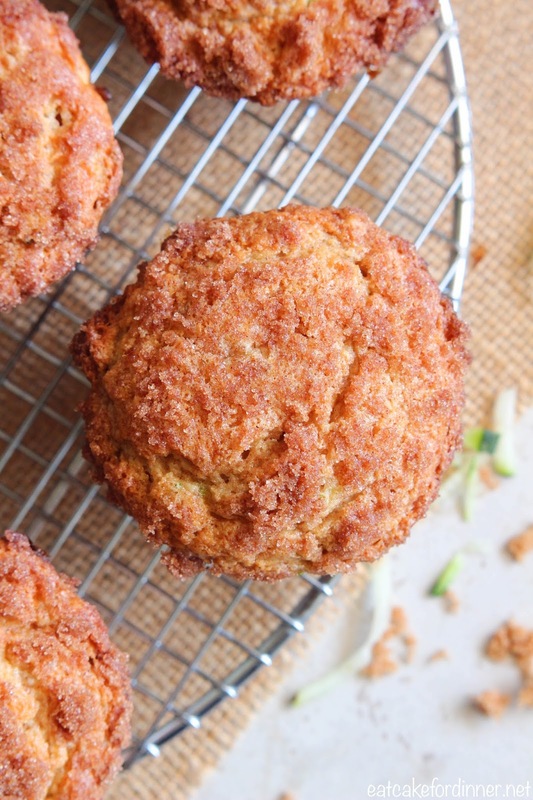 Even though zucchini muffins from scratch don't take that long to make, sometimes we just don't have the extra 10 minutes. That is when this recipe comes in super handy. It starts with a box of cinnamon swirl muffin mix. Then, you add a few ingredients to it, including shredded zucchini and that's it. 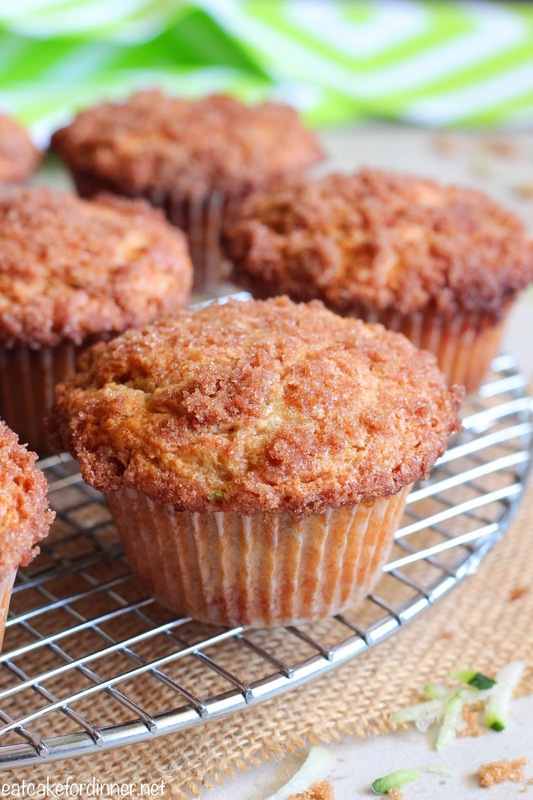 The cinnamon streusel topping gets nice and crisp and the muffin is soft and flavorful. These would even be great with a little vanilla icing on top. Preheat oven to 400 degrees. Line a 12-cup muffin tin with paper liners and spray with cooking spray; set aside. Combine dry muffin mix and baking powder in a large bowl; set aside. In a separate small bowl, combine the egg whites, water, vanilla and zucchini and mix until combined. Add wet ingredients to dry and stir together just until combined. Add half of the cinnamon mixture that came with the muffins and stir two or three times just to incorporate it a little throughout the batter, but you don't want to stir it all the way in. 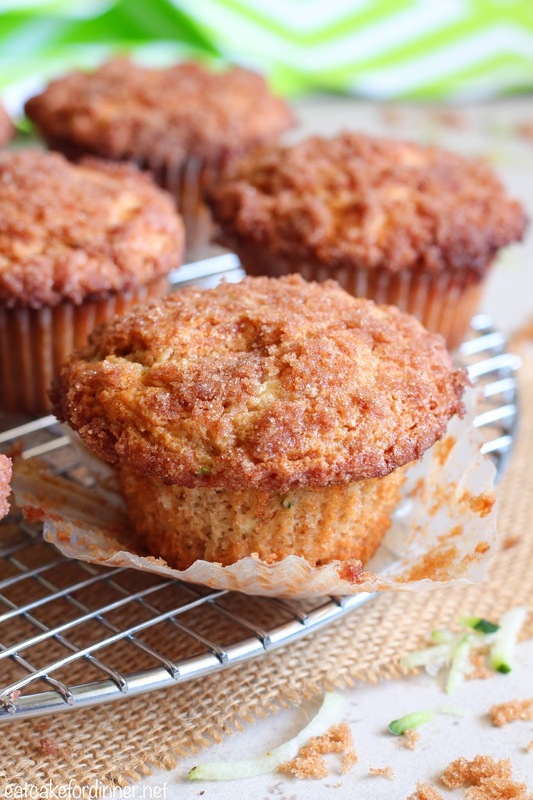 Divide batter between 12 muffin cups and sprinkle the remaining cinnamon mixture over each muffin. Bake for 20 minutes or until a toothpick inserted in the center comes out clean. These sound easy and delicious! I like the addition of zucchini!